Naturally, Runtastic wants to come back home every now and then. What better opportunity than promoting our awesomeness among students at Hagenberg’s career fair “FH>>next”? This year, 130 IT and media companies got to present themselves at their best in order to recruit the most brilliant talents among the students, be it for an internship, part-time employment alongside their studies or a real job right after graduation. 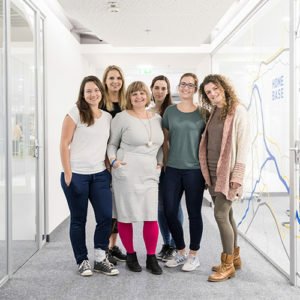 Isabella, our Talent Scout who is in charge of filling Runtastic’s IT positions, grabbed the Head of iOS and the Head of Android (both not so recent graduates themselves) to promote our benefits and start-up spirit. Since Runtastic can be considered THE success story of the FH Hagenberg, our booth was literally stormed by interested students who wanted to learn more about our team, vacancies and working atmosphere. Besides getting to know some new faces (and talents), we found the opportunity to share anecdotes from the Runtastic family to be an enriching experience for both the listeners and the storytellers (us!). And even though it is tiring to stand at a booth all day (and talk non-stop), it simply feels great to be part of this success story. Yes, once again, we are proud to be members of the family! At Runtastic, we are one big family, so we call each other by our first name. You won’t hear any Mr. or Ms. in our offices! First impression counts – also for us. We are a chill company without a dress code and we want you to feel comfortable. If you are at ease, you will surely leave a much better impression – we can guarantee that! Be prepared – check out our career site and our blog. If you are genuinely interested in joining us, think about what you want to do and what you might want to ask us. A print version of your CV, cover letter or portfolio does not help us since we handle all applications online. It’s our mission to convince you to apply at Runtastic after our talk. Our goodies are there for a reason – please take them and enjoy (we don’t want to take them home with us)! 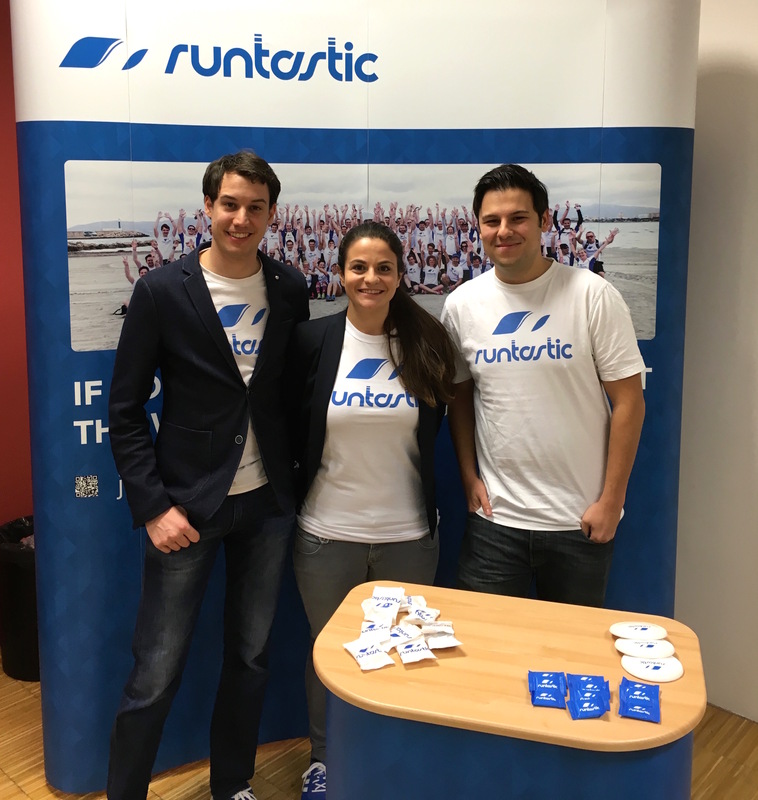 Come visit our Talent Scouts at the Runtastic booth (number 32) at the JKU Karrieretag on November 25, 2015. We are looking forward to meeting more talent and motivating you to join our team!